Progressive colt Mongolian Falcon (3c Fastnet Rock x Amazing Beauty, by Galileo) emerged as the next star performer for Inner Mongolia Rider Horse Industry with a resounding win in the Group II Sacred Falls Hawke’s Bay Guineas at Hastings in New Zealand on Saturday. Inner Mongolia Rider Horse Industry enjoyed the highs of racing with their now retired triple Group I winner Mongolian Khan and have an able replacement in Mongolian Falcon. The Donna Logan and Chris Gibbs-prepared colt upstaged his rivals with a runaway victory in the 1400 metre feature. The event had been widely billed as a match race between the unbeaten pair of Heroic Valour and Stephen Marsh’s Ugo Foscolo but it was Mongolian Falcon who left them all in his wake. “He was very happy in front and he kicked really well,” rider Leith Innes said. “More ground will help him and bring on a drier track as well.” Innes allowed Mongolian Falcon to stride to the lead and they strolled away in the run home for a sublime victory. “I said to Leith don’t fight him if he wants to roll forward,” Logan said. “That was impressive, wow.” Mongolian Falcon’s 2000 Guineas odds have been cut from $18 to a $5 favourite. “I’ll have to talk to the owner, he might want him to go to Australia,” said Logan of the colt who has a nomination for the Group I VRC Derby. “The further he goes the better, I’ve always said that.” A $150,000 Inglis Easter purchase from the Coolmore draft for Inner Mongolia Rider Horse Industry, Mongolian Falcon has won three races and placed three times from seven starts. Foaled and raised at Coolmore, he is the first foal of Group III placed Galileo mare Amazing Beauty, who has already foaled this spring producing a filly by Declaration of War. 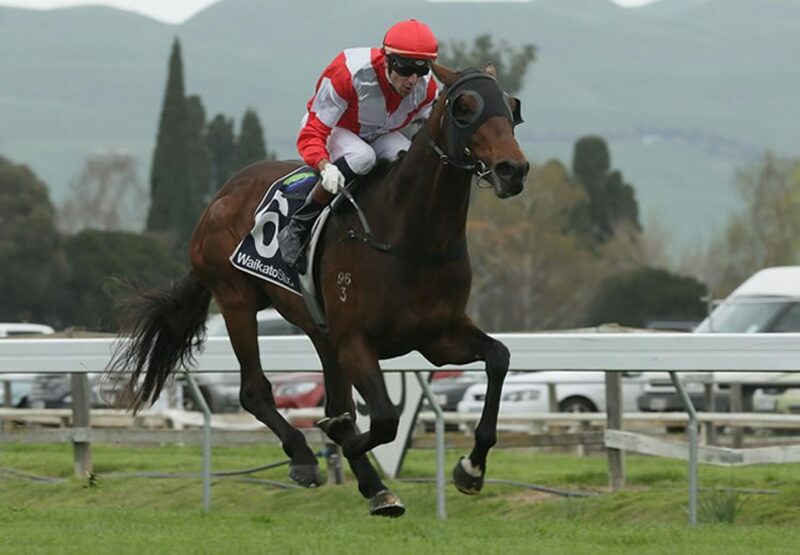 Fastnet Rock made it a stakes double in New Zealand when Ringo (7g Fastnet Rock x Akris, by Zabeel) took out the Group III Hawkes Bay Kelt Memorial Handicap at Hastings over 1400 metres. Mongolian Falcon and Ringo are the 98th and 99th stakes-winners for champion sire Fastnet Rock.